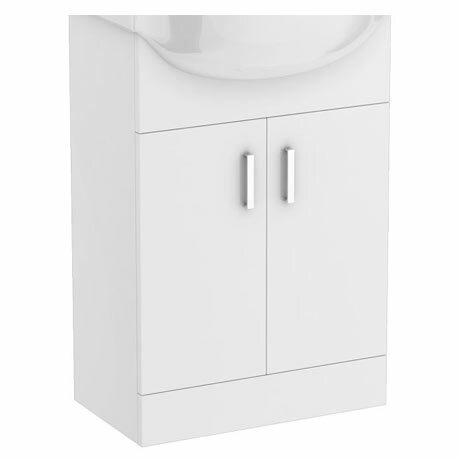 A replacement 2-door basin unit for the Cove 550mm vanity unit. Comes in a Gloss White finish and includes chrome handles. Unit is pre-cut to use with semi-recessed Cove basin. Dimensions: (W)514 x (H)781 x (D)298mm approx.